Born: 17 December 1896, Victoria West, South Africa. Died: 16 December 1973, Pietermaritzburg, South Africa. "C.J." or "Paal" van Heerden, so called because of his tall build, qualified as a veterinarian (MRCVS, Dublin) in July 1923 and in the same month married Margaret S. Brown. One of his sons also became a veterinarian. C.J. served as government veterinary officer (GVO) from 1923 to 1930 and as senior GVO until 1933. He was then appointed sub-director of veterinary services, mainly on the basis of his outstanding administrative abilities, and placed in charge of the Section Field Administration of the Onderstepoort Veterinary Laboratory. His main scientific contribution dealt with bovine theileriasis, on which he collaborated with G. de Kock*, R. du Toit* and W.O. Neitz* to produce an extensive review in 1937. That same year he was promoted to assistant director of veterinary services and in 1944 became under-secretary for agriculture and forestry. During World War II (1939-1945) he served as the officer commanding the South African Veterinary Corps with the rank of lieutenant-colonel and in 1958 was honoured as an Officer of the Order of the British Empire (OBE). After the war he was appointed to the Public Service Commission, where he remained until his retirement in 1951. 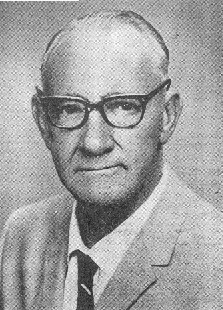 Van Heerden joined the South African Veterinary Medical Association in 1924, served on its council for many years, and was elected an honorary vice-president in 1947. In 1951 he started a second career as veterinary officer in Swaziland, where he was promoted to principle veterinary officer in 1953 and director of land utilization in 1955. In 1960 he retired for a second time, but then served as manager of the Swaziland Settlement Company until failing health forced him to retire finally in 1972. In Memoriam: Carel Jacobus van Heerden. Journal of the South African Veterinary Medical Association, 1974, Vol. 45, p. 238. De Kock, G., Van Heerden, C.J., Du Toit, R. & Neitz, W.O. Bovine theileriasis in South Africa with special reference to Theileria mutans. Onderstepoort Journal of Veterinary Science and Animal Industry, 1937, Vol. 8, pp. 9-128.